ROBOTIS encourages the use of smart devices to program and control its products. ROBOTIS has released popular and powerful RoboPlus tools, including Task, Motion, and Design to Android and iOS. In order to use RoboPlus mobile software, you will need the BT-210 or BT-410 Bluetooth module. The BT-210 Bluetooth module is only compatible with Android devices that support Bluetooth 2.1 or higher. The BT-410 Bluetooth module is compatible with both Android and iOS devices that support Bluetooth Low Energy. 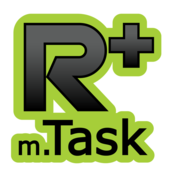 R+ m.Task is the mobile version of R+ Task 2.0, a user friendly, icon-based programming app for ROBOTIS controllers. Coming Soon! 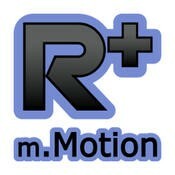 R+ m.Motion is the mobile version of R+ Motion 2.0, a powerful tool for creating, visualizing, and downloading motions to your robot. R+ m.Design is the mobile version of R+ Design, an interactive, 3D-animated assembly manual.